The number of retail stores in the U.S. might be on the decline — but that doesn’t mean the fashion business is doomed. In fact, according to McKinsey & Company’s State of Fashion 2018 report, we can expect to see industry sales growth almost triple from 2016 to 2018. 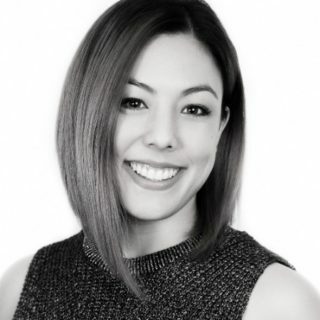 “The modern shopper’s comfort with digital channels and content has created a complex customer journey across online and offline touchpoints,” McKinsey & Company says of the current state of the industry. Effectively connecting with your customers at all of those touchpoints, and maximizing the power of your retail stores, takes a deep understanding of shopping behavior. 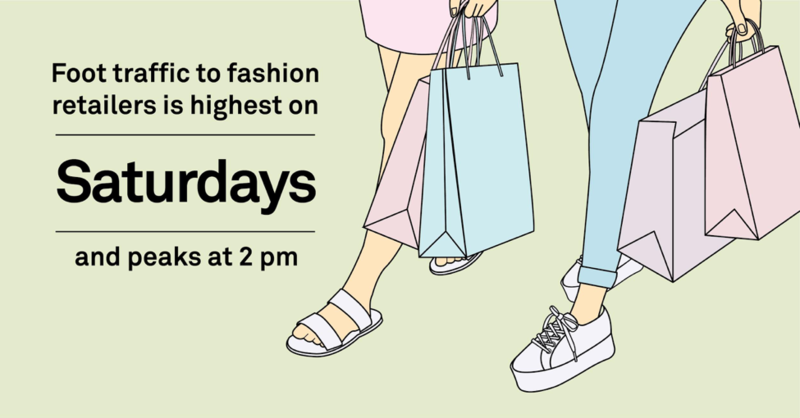 For example, GroundTruth data shows that foot traffic to fashion retailers is highest on Saturdays and peaks at 2 pm. When you pair insights like this one with reliable marketing solutions, you can reach your customers wherever they are. These five location-based targeting strategies can help. Got a sale coming up? Use the opportunity to connect with qualified fashion shoppers and drive foot traffic within your desired time frame. You can target shoppers who have visited comparable stores to yours, as well as raise local awareness of your sale, by utilizing GroundTruth’s scale to get broad, but targeted messaging in the area around your store. Our Behavioral Audiences also let you reach customers who are interested in fashion and fashion sales, because they provide you with a combination of visitation and demographic data that defines consumer interests and lifestyle. Another way to reach potential customers is with conquesting messaging though our Location Audiences, or by targeting people who show a high visitation affinity to your store through Neighborhoods, a solution that combines unique geographical boundaries with visitation patterns and audience segments. When you understand the areas frequented by shoppers who show an affinity for fashion, you can drive sales awareness and foot traffic all at once. If your goal is to reach qualified shoppers, whether online or off, targeting consumers who’ve been observed visiting your store or competing brands makes perfect sense. With the help of location targeting, you can build audiences that align with your brand and encourage them to shop via your ecommerce channel, as well as approach customers who haven’t visited your offline store for a while and suggest they shop online instead. Matching your CRM data with GroundTruth to reach customers who are already shopping online can also increase the frequency of visits to your ecommerce channel. When your marketing objective is to promote the opening of a new store, location targeting is a must. In this case, you’ll want to focus on your competitors’ customers: Where they spend their time, and what it will take to drive them to your big event. Start by creating a broad awareness of your grand opening. Next, target competitor customers — along with shoppers who over-index for cross-shopping in both your stores and those of your rivals — by using Neighborhoods to steal share and drive them to switch to your brand. You can also target the top Behavioral Audiences in your existing locations in a set area around your new store. This is a great way to capitalize on audience profiles and visitation behaviors and turn desirable consumers into customers. There may come a time when you need to close one of your physical stores, but losing a store doesn’t have to mean losing customers. Lean on location based targeting to help you spread awareness of your remaining locations, steer customers to those other stores, and protect your market share from opportunistic competitors. Your best bet is to use Neighborhoods and Location Audiences to reach your existing customers — along with those belonging to your competitors. Craft a marketing message that encourages these shoppers to switch to your other physical stores. This strategy will protect both your business and the integrity of your brand. Inversely, someone else’s loss might also be your gain. Targeting a competitor’s store closing and redirecting them to your own store, can help you drive like minded customers through your doors. Regardless of your marketing objectives, acquiring new customers and re-engaging old ones is essential. Target potential customers to drive visits during key sales periods, including holidays and major shopping events like Back-to-School. These events present a great opportunity to drive consistent visits with Cost Per Visit. You can use it is an efficient way to gain new customers and boost sales, and because you only pay for 1-to-1 visits, you ensure your marketing dollars are producing real-world outcomes. Want more information on how Location-based Audiences, Neighborhoods, and Cost per Visit can help your fashion brand? Contact us today.